Are you in need of professional demolition services in Grand Rapids, MI? There is only one team to call when you are looking for local demolition contractors in Grand Rapids, Michigan. That call needs to go to Grand Rapids Demolition, your one stop shop for all types of demolition. No one is better at demolition work than we are. 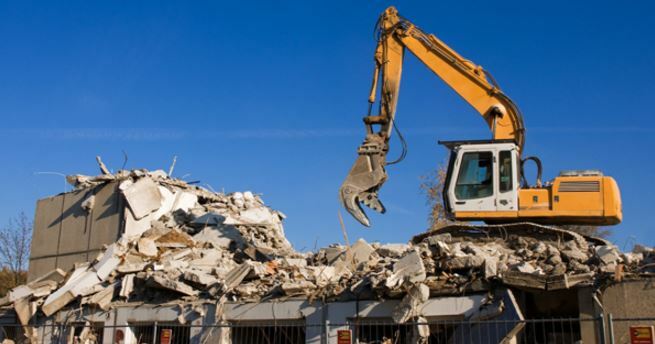 We are proud to say we are professional, quick and knowledgeable in all residential and commercial demolition work, regardless of the size job that needs to be done. 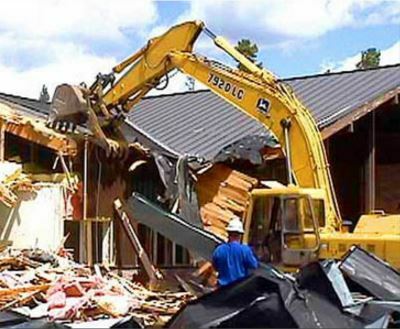 Grand Rapids Demolition can provide residential demolition for all types of work. Residential demolition can be difficult if you do not have the correct tools, equipment and knowledge to take on the work. Our team of experts can tackle all residential demolition needs quickly, with the results you are looking for. We offer on site estimates that will surprise you. Property owners will be surprised at what services we can offer with the budgets that you have. The demolition work that you need may be more affordable than you think. At Grand Rapids Demolition we are also pleased to offer commercial demolition, with our crew of commercial demolition contractors. We can offer assistance in both large and small commercial settings, so there is no job that we cannot take on. We have completed many projects throughout the Grand Rapids area, and our work speaks for itself. We have done work in many different commercial spaces and have the knowledge commercial property owners need in order to get jobs completed quickly and on time. Whether you need residential or commercial demolition work done, Grand Rapids Demolition has the expertise and equipment needed to complete any job, big or small. Demolition work is not an easy do it yourself job, and that is where we come in. We really can complete any job with the budget we are given. Not only can we complete the demolition work, we can also clean up and remove all debris and leftover items from the demolition work. We take the guess work out of demolition work and we will always leave the demolished area clean and clear of any left over debris from any job that we complete. Calling Grand Rapids Demolition will get you in contact with one of our trusted and knowledgeable employees. We can set up a time to come to either your residential or commercial property and discuss your demolition needs. We are happy to offer a walk through of the work that needs to be done and give you an estimate of the costs for your project. We have the most state of the art and up to date equipment in the industry. We are the leader for Grand Rapids in the demolition industry. No one can offer the knowledge and tools that we have to work with every single day. Here at Grand Rapids demolition, we can work with just about any budget. Whether it is commercial or residential demolition you are looking for, we are eager to give you an estimate and show you what we can accomplish with the budget that you have to work with. 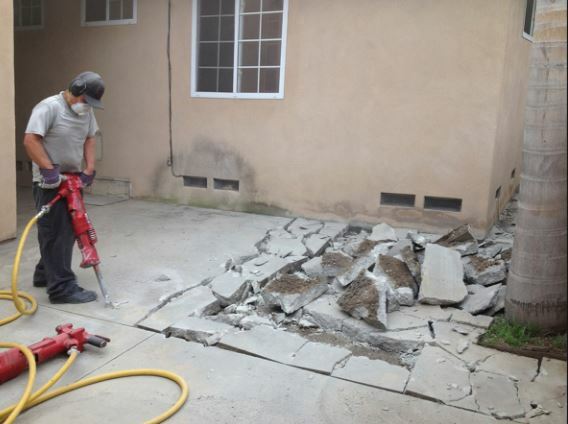 Our trained employees can start working quickly once the work is scoped and we have a plan for your demolition needs. We can make quick work of just about any job that a property can need. Grand Rapids Demoltion have completed multiple demolition jobs throughout Grand Rapids, Michigan. Our office is proud to showcase some of the work that we have completed with before and after pictures we will gladly show potential clients. We have examples of both residential and commercial demolition jobs that have been completed. We can also offer a multitude of references, which we would be happy to share upon request. We truly feel that our photos and references speak volumes to the work that we have completed in the past, which can translate into the work we complete for you in the future. Here at Grand Rapids Demolition, we are confident that you have seen us out on job sites and have seen some of the work we have completed as you have driven or walked through the great city of Grand Rapids. Here at Grand Rapids Demolition, we know that there are other demolition companies out there who claim to be the best, just like we do. None of those other companies have been in business as long as we have been, or have the past work experience and happy former customers that we do. Simply put, we are the best. No one can compare to the knowledge, tools and resources that we are proud to offer every commercial of residential customer, regardless of the size of the job we are asked to take on and complete. Placing a call to us and having us be your demolition team, is making a call to the demolition industry leaders, just ask any one of our previous customers. You will quickly see that many property owners become repeat customers when additional work comes up, and they will be quick to speak to the work that we can complete. Grand Rapids Demolition is proud to serve the Grand Rapids area and we aim to provide the best demolition work possible. We are industry leaders and will work hard on any project to keep that reputation alive. No one can offer the knowledge, work, expertise or professionalism that we are proud to say we have given the greater Grand Rapids area since we have been in business. A call to us will start the process of a great demolition job for any residential or commercial property. We offer reasonable rates, competitive pricing, and many options in order to serve all your commercial or residential demolition contractor needs. It is important for us to offer services at an affordable rates in order to give our customers the excellent service that they can afford. Even though we offer low rates we do not offer low-quality service in any way. We come, we get the job done and then clean up and remove all rubbish or leftover items from the site. Whether it is a residential or a commercial project you will get superior commercial demolition contractors or residential demolition contractors in your budget. We use our well-maintained expert equipment, special machinery and high-powered machines to complete all jobs in a timely and masterful manner. We know the proper and safe procedures to complete any of your service needs. We are national demolition contractors with access to a national demolition association member directory. Our database of national demolition association members ensures that we employ and can provide you with a wide range of competent, skilled workers. 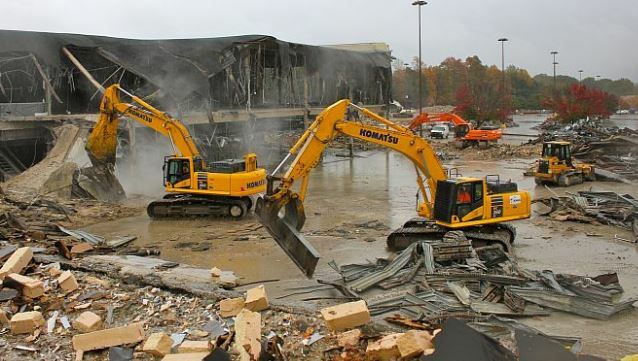 From residential demolition to commercial demolition, Grand Rapids Demolition inGrand Rapids, Michigan is proud to provide a wide range of dependable services and solutions.